Fans of shaggy, luxurious shag carpets and rugs rejoice, the shag is back! Check out our fine collection of shag carpets and find out how to place one in your home. Shag carpets draw attention every time people enter a room. These retro style icons are making a big comeback in the world of interior design. It’s easy to see why; shag carpets are fun, flirty, and always comfortable. As if that wasn’t enough, shag carpets are relatively inexpensive in comparison to other rugs. To help you upgrade your room quickly and easily with a new shag rug, we did the research for you and picked out the very best quality carpet and shag carpets we could find. Better still, these rugs are wallet-friendly at sale prices. On top of their many desirable characteristics, modern shag rugs are perfectly compatible with the decor of any contemporary or retro-styled home. You can’t go wrong with fashionable and cheap shag rugs. Check out the following collection of shag rugs for sale to get inspired. Choosing your shag rug might seem like an overwhelming task, especially when you are confronted with so many great options to choose from. You might want small and cute shag carpets to accentuate your room’s decor, or you may want a really big one for the living room to provide the ultimate in comfort for your family and guests. To help you make your decision, let’s take a look at some of the things you’ll want to consider when choosing your sale-price shag carpet. Size - When choosing a carpet, size does matter. While preferences may differ from person to person, a handy design rule is that shag area rugs will make a big decorating impact in your room. Small, cute shag rugs are extremely eye-catching beside your bed or under a coffee table and won’t distract too much from your whole scheme. There's no end to what you can choose from with modern shag carpets; sizes, shapes, and colors vary widely. In terms of cost, the bigger the carpet is, the more expensive it will be. Whatever you end up choosing, our collection offers really competitive and affordable price ranges for every size you desire. Style - Nobody ignores style nowadays and neither should you. Shag carpets feature a huge range of shapes, prints, and designs so you’ll be spoilt for choice. From circles and squares with or without polka dots, prints, florals, or abstract patterns, you’ll be able to find the perfect shag rug on sale to suit your home. Unsure if a print is for you? Go with a solid color instead to brighten up your space without worrying about pattern matching. Explore our full collection and pick the best quality carpet that fits your tastes. Color - By the time you’re looking for cheap shag rugs, you may have already designed your room and are looking for a shag carpet to complement your decor. Colors obviously play an important role in interior design, and with shag rugs, it’s no exception. Whether you go for a soft beige or a brash yellow, try to choose a color that ties in well with your existing decor. If you’re unsure, try to follow the 60:30:10 rule: 60% of the main color, 30% of the secondary color, and 10% of the highlight color. 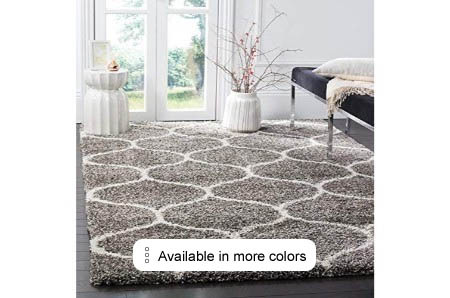 If your new shag rug is large, it will likely be part of your 60%, smaller rugs can be part of the 10% highlight color. Texture - Shag rugs are well-known for their comfortable, luxurious feel. Visually they’re pleasing to the eye too. For this reason, many people are now choosing shag carpets over ordinary carpets and rugs. Plush, soft, fine, rich, creamy, smooth, thick and shaggy, you’ll find it all in our rug collection. Placing a new carpet in your room will instantly upgrade both the look and feel of your room. Create a carefully styled yet slightly disheveled look in your home with a new shag carpet. The smash hit white acrylic shag rug, made by Safavieh, a sublime home décor artistic accessory. Material: high quality acrylic, size: 8'x10'. Now available on limited time discounts for modern shag rug, don't linger around! Nostalgia is back with this cloud gray polypropylene shag rug, by Unique Loom, revives your style, a beautiful living room artistic accessory. dimensions: 4'x6'. Best price for a retro shag rug, super fun and for a reasonable price. The brilliant top-selling grey synthetic fur shag rug, by ACTCUT, a must have bedroom artistic accessory. material: the very best synthetic fur, dimensions: 4-Fx5-F. buy it now, a top rated vintage shag rug, everything you ever needed. 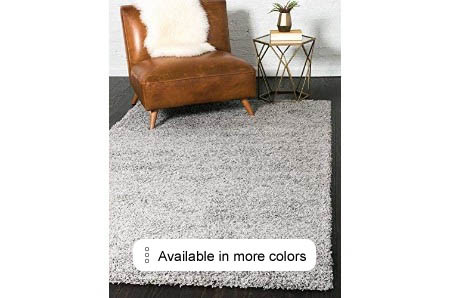 Ingenious grey polypropylene shag rug, brand: Sweet Home Stores, model: COZY2763-5X7. Low cost modern shag rug, astonishing living room adornment, size: 5'3"X7'. If you are like us you've always dreamt on having this 70's shag rug. Embellishing grey and ivory polypropylene shag rug, by: Safavieh, model: SGH280B-4. This is a bargain sublime shag rug, a must have home décor classic accessory, dimensions 4'x6'. We just can't get enough of this modern shag rug, gigantic! Exquisite ivory and grey polypropylene shag rug, made by: Safavieh, model: SGH281A-4. 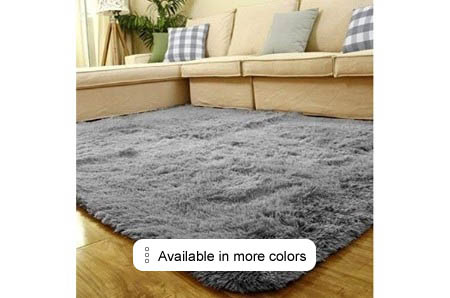 Made of fine polypropylene, get it cheap, on sale, the best refined shag rug. Update your style with this retro shag rug, like living in a dream! Fabulous ivory polyester shag rug, by: Safavieh, model: SG511-1212-57. Made of fine polyester. An extraordinary living room design piece, size 5'x7'. The stunning best selling vintage shag rug, a perfect work of art! It's the real deal, grey artificial faux sheepskin fur shag rug, made by Ojia, a must have home décor fashionable piece. material: top-level artificial faux sheepskin fur, dimensions 2ftx3ft. Least expensive 70's shag rug, unique and beautiful! The brilliant top-selling beige microfiber shag rug, produced by Safavieh, A must have bedroom stylish accessory. Material: classic microfiber, dimensions: 4'x6'. Luxury modern shag rug, astounding and remarkable.Get it now! The brilliantly designed ivory/grey polypropylene shag rug, brand: Safavieh, a heavenly living room enhancement piece. Made with supreme polypropylene, size: 5'1"x7'6". Special retro shag rug with a special offer, tremendous! Decorative ivory polypropylene shag rug, by Safavieh, model: SG180-1212-8. Luxury shag rug, a must have home décor design piece, dimensions 8'x10'. If you are a fan of art you will love this vintage shag rug, a really unique deocr item. If you're looking for a really unusual idea, check out this pearl polypropylene shag rug, produced by Safavieh, amazing bedroom artistic accessory. Dimensions 4'x6'. This is the best price for a 70's shag rug, very affordable! Look no further and buy this grey synthetic fur shag rug, a piece by Ottomanson, a beautiful living room design piece. Material: high quality synthetic fur, dimensions: 6'7"X9'3". Now on discount, modern shag rug, an ideal show-stopper! Bold grey synthetic fur shag rug, manufactured by: Ottomanson, model: SHG2273-8X10. Made with first-class synthetic fur, a must have home décor adornment, dimensions: 7'10"X9'10". This is hands down the coolest retro shag rug, a masterpiece! Finally, this epic white sheepskin shag rug, brand: FurFurug, a must have bedroom classic accessory. Made with classic sheepskin, size 4X2.5F. Best savings for a vintage shag rug, If you are a true vintage design fan don't linger around! Innovative ivory/beige polypropylene shag rug, by: Safavieh, model: SGH284D-4. Made with top-level polypropylene, a must have living room masterpiece, dimensions: 4'x6'. This ingenious 70's shag rug will take your breath away! Divine ivory and grey polypropylene shag rug, by Safavieh, model: SGH282A-8. Made with fine polypropylene, low price bold shag rug, must have home décor enhancement piece, dimensions: 8'x10'. Awesome, check out this modern shag rug, gigantic! This amazing ivory fabric shag rug, made by Safavieh, a cool, modern and sylish bedroom accessory. Material: the very best fabric, dimensions: 5'x7'. Now on limited time discounts for this retro shag rug, absolutely adorable. 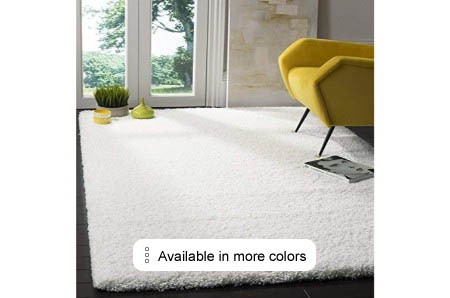 Ingenious white polypropylene shag rug, brand: nuLOOM, model: OZSG18A. Material: the very best polypropylene, amazing living room classic accessory, dimensions: 6'7"x9'. This is one of the coolest vintage shag rug, such a beautiful item! Innovative coffee wool blend shag rug, made by: LeeVan, model: LeeVan Rug. Made of classic wool blend, low price luxurious shag rug, a wonderful home décor showpiece accessory, size: 3ft. It's hard to beat this awesome 70's shag rug. Magnificent grey trellis synthetic fur shag rug, manufactured by Sweet Home Stores, Model: COZY2273-5X7. Material: fine synthetic fur, a superb bedroom design piece, size: 5'3"X7'. Finally, this epic modern shag rug on sale, so affordable! High quality grey polypropylene shag rug, created by nuLOOM, model: OZAS04A. Made of the highest quality of polypropylene, a cool living room design piece, size: 5'3"x7'6". An epic retro shag rug, what's not to love? a really unique decor item. 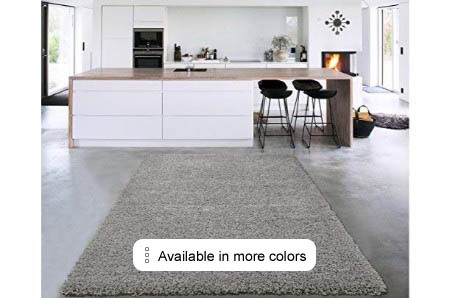 Cultured white polypropylene shag rug, created by nuLOOM, model: OZEZ04A. Material: the finest polypropylene, a wonderful home décor stylish accessory, dimensions 5'3"x7'6". High quality vintage shag rug, amazing and affordable unique piece! Ingenious invention, check out this navy blue cotton shag rug, by: Unique Loom, a superb bedroom stylish accessory. Made of the finest cotton, dimensions 4'x6'. Customized 70's shag rug, The coolest design item ever! With their thick, rich loops of yarn and plush feel, we’re not surprised that the shag rug is making a comeback. There’s no denying the luxurious beauty of shag carpets, just as there’s no denying their long-standing appeal. Shag carpets were popularized in the 60s and 70s, but did you know that they have a history from far before then? Originally, shaggy carpets, called flokati rugs, were knitted from goat hair in ancient Greece. They were mainly used in royal palaces to keep people’s feet warm and cozy. These carpets were also status symbols, showcasing style and wealth. Outside of ancient Greece, this type of rug was also popular in central Asia and Turkey before becoming a trend in America during the 60s and 70s. Then, the shag rug was so famous that it graced the floors in all the finest houses. Wall to wall carpeting wasn’t as common during that time, so when the shag rug turned up, it offered a relatively inexpensive way to cover cold floors. However, as the years passed shaggy carpets, and the exuberant tassels of the swinging 60s gave way to a more austere style. Shaggy as a style faded and shag rugs followed suit. Today, shag carpets are back with a vengeance, serving not just as a means of comfort, but also as an integral part of interior décor. We hope that this time the luxuriously comfy shag carpet will be here to stay. The smash hit brown metal/wood ladder shelf, by: SONGMICS, nostalgic home décor artistic accessory. Made with high quality metal/wood, dimensions: 22.1”Lx13.4”Wx53.9”H. This is a bargain retro ladder shelf, affordable for everyone! Monumental surf blue polypropylene trash can, manufactured by: Umbra, model: 082610-276. Made with the finest polypropylene, the best deal for this artistic trash can, dimensions 13.4x13x6.5. Get this amazing new trash can now, so fun to utilize! High quality gray polyester window curtains, created by DriftAway, model: DriftAway Curtains. Made of supreme polyester, a must have living room masterpiece, dimensions 52"x84". We know you've always dreamt on having those window curtains. White plastic rug gripper, brand: Gorilla Grip, model: SYNCHKG084444. Material: plastic, amazing home décor accessory, dimensions 5x7-F. This is a kickass new rug gripper, received the best reviews - buy it now! Finally, the best black wood coffee table, by DHP, a beautiful home décor masterpiece. Made with supreme wood, size: 19x39x17.7. Luxury modern coffee table, made out of the best possible materials, unique, firm and solid. Fine craftsman oak recycled wood side table, created by Sauder, model: 420139. Made with the finest recycled wood, a must have living room fine accessory, dimensions 21.5x16.5x26.5. An astonishing best seller modern side table, it’s amazing!